From an early age, Suzanne Rohrback had a unique insight into the need for science to bridge gaps in medical care. Her big brother is autistic and growing up, Rohrback remembers thinking there were no good options for him – unmedicated, he could be unpredictably violent and medicated, he would be zombie-like. “But we don’t understand enough about what goes wrong in this condition to have created a better solution,” she says. This early experience drove Rohrback down the path of using scientific knowledge to improve people’s quality of life. 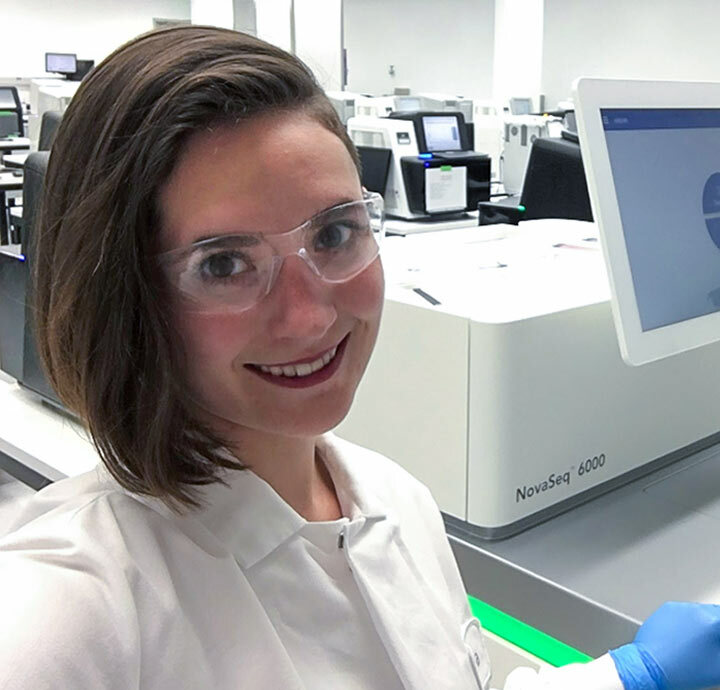 Now a scientist at genomics company Illumina in San Diego, she is working to identify biosignals in people’s blood that can help develop diagnostic tools for a range of reproductive health disorders. A 2009 Amgen Scholars alumna, Rohrback recalls that her Amgen Scholars summer at the University of Washington was the first opportunity she had to do research full-time. That summer gave her the confidence to continue in research and eventually pursue her Ph.D. at University of California, San Diego, studying how changes in the DNA of individual cells arise during important periods of brain development and may be involved in disorders such as fetal alcohol syndrome. It was there she discovered a love of bioinformatics – figuring out how to interpret the DNA sequencing data her lab was collecting – and she had the opportunity to collaborate with a team at Illumina. “When I mentioned to that group I was finishing my dissertation, I was lucky to hear that they had a job opening at the same time,” she says. This predictive ability could help develop new diagnostic and treatment options, including for noninvasive prenatal testing. “The knowledge that our work has the potential to directly contribute to the development of new clinical applications that can allow doctors to provide life-saving medical care inspires me every day,” she says. She recalls a recent time in which concerns came up about quantifying the amount of blood needed to obtain a consistent measurement. “Our team mobilized immediately, and within three weeks we had generated and extensively analyzed the signal from over a hundred different blood samples, providing a definitive answer to the question – work that would have taken me months of effort working alone,” she says. The Amgen Scholars Program gave her early in her career a taste of the possibilities within the biotech industry. “I gained much more perspective about how diverse the opportunities are in science research,” she says.